Say hello to Topaz Studio – the newest addition to the Topaz Labs lineup of photo editing software! Topaz Studio is an all-in-one photography toolbox aimed at the photographer who wants fast results, powerful adjustments, and the option for 1-click processing on a budget. 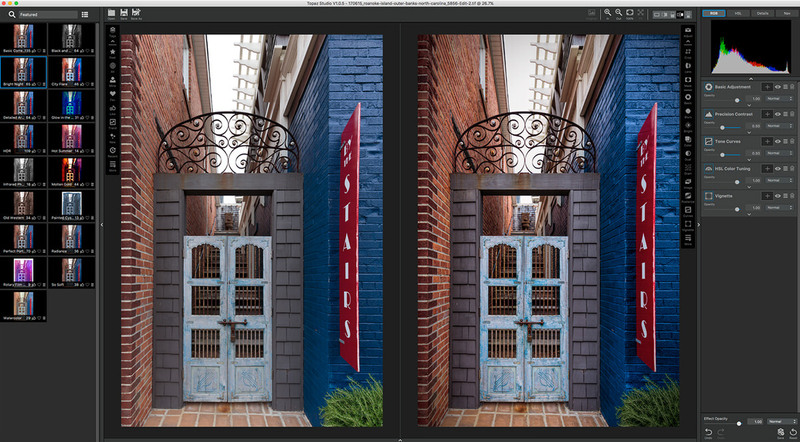 With Topaz Studio you have access to professional grade tools, effects, and image adjustments without spending a dime! You’ll get free access to hundreds of 1-click effects, 10 free adjustments, powerful masking and blending, automatic lens correction, and more. Topaz Studio users also have the option to extend the program’s capabilities with Professional Adjustments which can be purchased individually or as a Pack. Each Pro Adjustment comes with 30 days free so you can try it before you lay down your hard-earned cash. The interface is intuitive and thoughtfully designed. 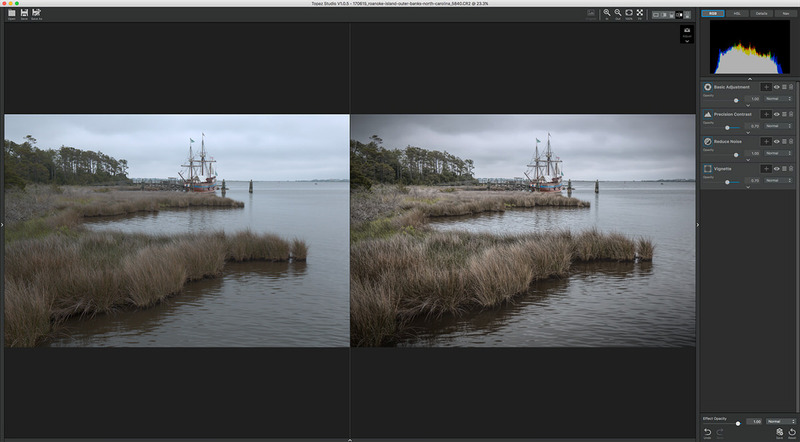 If you’ve used other Topaz plugins the layout will be familiar with presets on the left and adjustments/tools on the right. The workspace can be customized to fit your workflow with options to show/hide the Effect Panel (presets) on the left, the Adjustment Panel on the right, or the Image Browser on the bottom. Topaz Studio has literally hundreds of 1-click effects to choose from and the list is constantly growing. Presets can also be easily customized in the Adjustments Panel if you are using the 1-click effect as inspiration or a starting point. Adjustments are the core of Topaz Studio and serve focused functions. They can be used independently or combined to create custom effects. Currently there are 24 adjustments available and while many are free, some must be purchased to allow full customization. For the first photograph, I worked start to finish with a RAW photo from my Canon 6D. While I tried several presets, I ended up manually adding adjustments to create my own look. For the second photograph I started with my RAW file in Lightroom and used Topaz Studio as a plugin. Once in Topaz Studio I selected a 1-click Effect preset I liked (Bright Night) and then made a few modifications in the adjustments panel on the right. 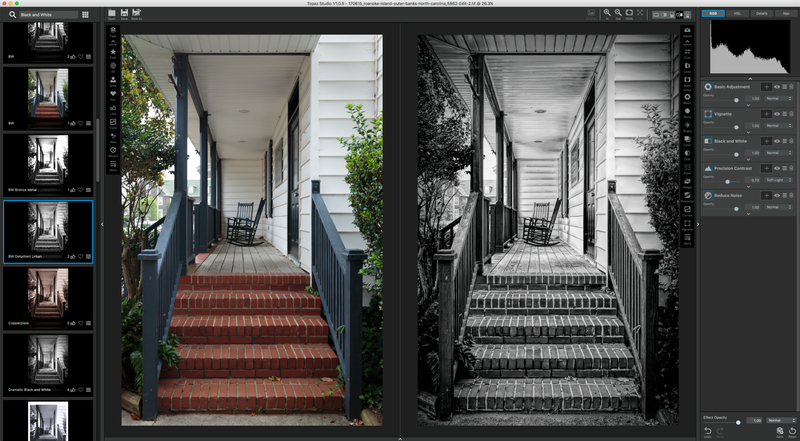 For my third example I started with a RAW file in Lightroom and used Topaz Studio as a plugin. For this image I opted for a monochrome process and selected the Detailliert Urban 1-Click Effect preset. I made a few adjustment modifications, and added Noise Reduction. Topaz Studio can be used as a stand-alone photo editor or as a plugin with other major software. It is also a host for any other Topaz Labs plugins you might already own. Topaz Studio is currently compatible with Photoshop CS4+, Photoshop CC, Photoshop Elements 12+, Paintshop Pro X 6+, Serif PhotoPlus X5+, Lightroom 4+, Lightroom CC, and photoFXlab. While an internet connection is not required to run the software, a connection is required for the initial login. Users will also need to make sure they are connected to the internet at least every 6o days to re-authenticate their login credentials. The Interface is thoughtfully designed and easy to use. No spot removal or cloning tool Update 6/23/17: A Healing Tool has been added and can be accessed via the Tools panel on the right. Topaz Studio is a very solid all-in-one photo editor. Its fast and the results on my first few test photos came out great! 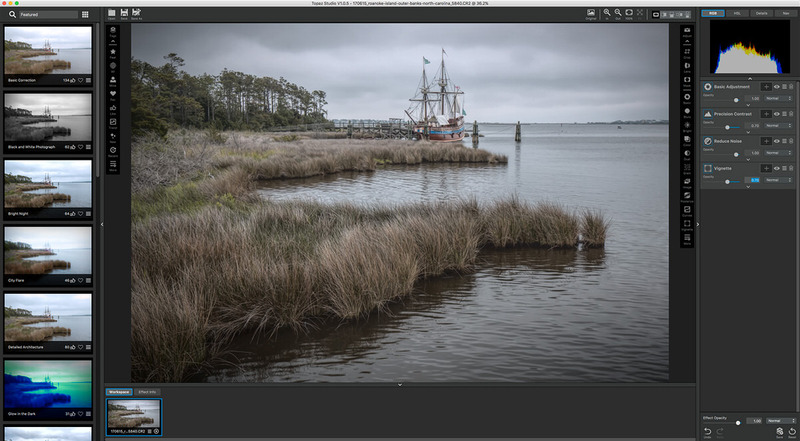 It won’t replace Lightroom in my workflow, but its a great addition to my digital toolbox. Many of my Topaz plugins will probably get a bit dusty as Topaz Studio integrates a lot of that technology (but not all of it) into one convenient package. If you’d like to check out Topaz Studio you can download it here. Its FREE! 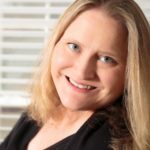 If you decide to check out the Pro Adjustments (and I highly recommend that you do – the Precision Contrast Adjustment is fantastic!) make sure you use my promo code “angandrieux” to save 15% on your purchase. You can also try the Pro Adjustments free for 30 days. Do you have questions about Topaz Studio? Let me know in the comments below or send me an email. Hi. I tried the coupon code “angandrieux” and I get a message that it doesn’t exist. Thought you might like to know. Hi Steve, Thanks for letting me know! I’ll look into it. Topaz Studio is a new product so the coupon code may have only applied during the launch pricing promotion. Nevertheless, I’ll find out whats going on and let you know! 🙂 I really appreciate the heads up! Hi Steve, The coupon code has been fixed! If you have any other issues, please let me know. Thanks again for letting me know!! When Topaz sorts the bugs and crashes out it will be a great photo editor. Their latest update ver 1.1.6 caused the programme to crash when using the erase and graduated mask tools. Hi Mar, Thanks for stopping by and taking the time to comment. Crashing software is so frustrating! I believe they just released v.1.1.9. Maybe that update will help resolve some of your issues. My ambition is to find a product to replace the usual Adobe suspects and I am following up your review for what looks like a likely contender. Hi Geoffrey – I think Topaz Studio would make a great Adobe replacement. Other options to look into are Luminar by Skylum (formerly Macphun) and On1 Photo RAW. All are excellent and offer free trials so you can see which is the best fit for your workflow. Hi Kami, Thanks for the info! I’ve heard good things about Affinity Photo.